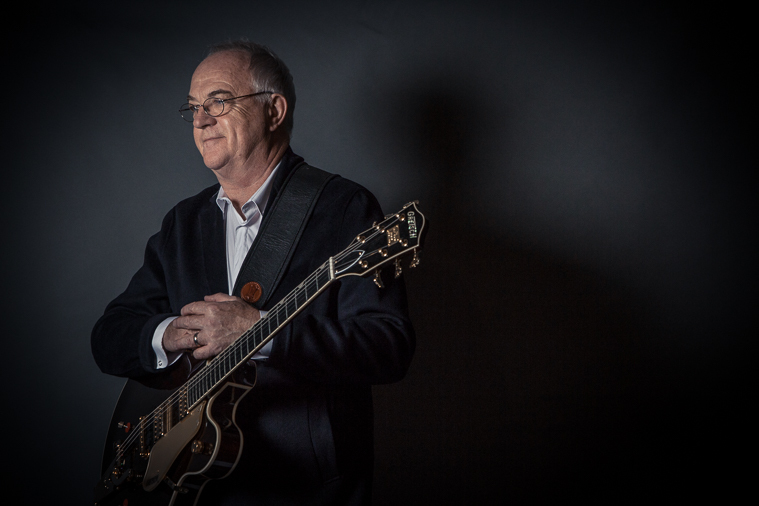 On 8 June 2018 British guitar legend Robbie McIntosh (Paul McCartney, The Pretenders, Norah Jones, John Mayer, Tom Jones) will release his debut solo album on a major label created to celebrate the everlasting genius of Chet Atkins and his finger picking guitar playing style. The 12-track album entitled ‘Thanks Chet’ also coincides with the 60th anniversary of the Gretsch Country Gentleman guitar (named after Chet’s landmark song of the same name) and is a tribute to the sound that revolutionised rock ’n’ roll as we know it. The fully instrumental album features Robbie playing his own Country Gentleman creating new versions of classics like The Kinks’ You Really Got Me, The Bee Gees’ Stayin’ Alive, Bonnie Raitt’s beautiful I Can’t Make You Love Me, Kylie’s I Can’t Get You Out of My Head and Danny Kaye’s version of The Ugly Duckling. Robbie McIntosh has also re-recorded The Pretenders’ worldwide smash Don’t Get Me Wrong a track that originally featured Robbie playing his Country Gentleman guitar. The title track Thanks Chet is an original piece created by Robbie as an instrumental interlude that he brought to Paul McCartney’s 1993 world tour and originally titled Robbie’s Bit (Thanks Chet). The album also features another Robbie McIntosh original composition entitled ‘County Gent’. The track kicks off the album and was written and recorded to celebrate the 60th Anniversary of the Gretsch Country Gentleman. “There was one moment in the tour when the set had to change and Paul suggested I go out and play a little instrumental piece for a couple of minutes and I had this tune. It’s really a little nod to Chet who was the first guitarist I heard that made me go: ‘That’s what I want to do!’,” explains Robbie. This autumn Robbie will be playing live in An Evening with Robbie McIntosh to give fans the chance to see and hear one of the finest guitarists of his, or any, generation playing the music he loves.